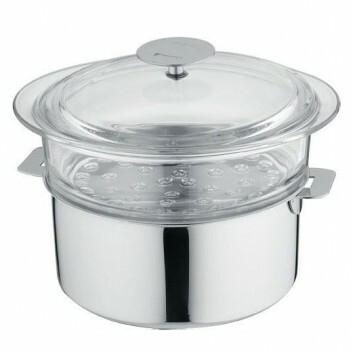 This universal Casteline steam cooker by Cristel is designed and made in France . 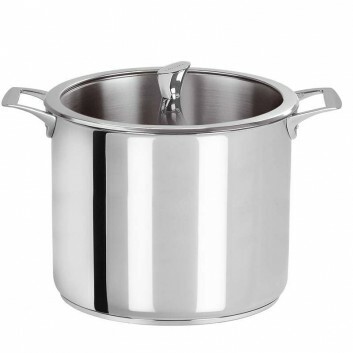 It is made of shiny stainless steel and has 2 riveted cast stainless steel handles. 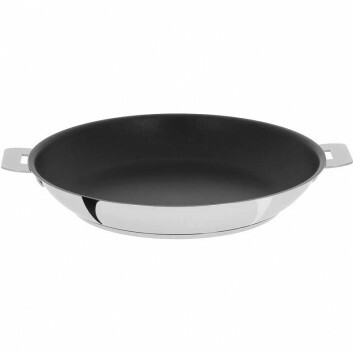 Cristel Mutine Frying Pan, made of stainless steel, removable handle, non-stick coating. 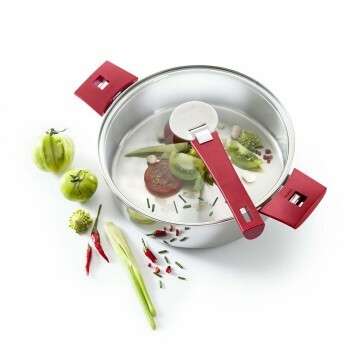 The removable Mutine collection by Cristel with its classic body can be used on all types of hobs including induction. 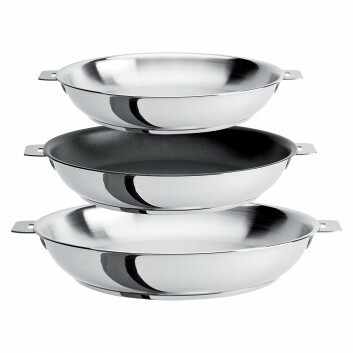 Mutine 3-piece removable frying pan set by Cristel. 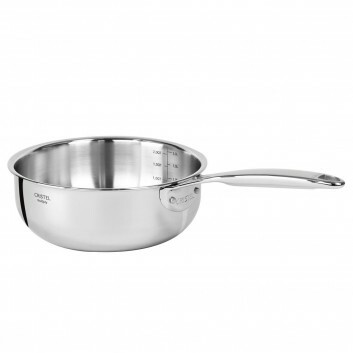 The Mutine collection has a shiny stainless steel finish. 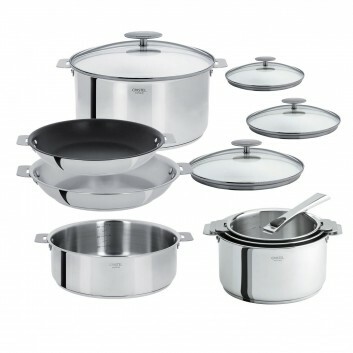 Mutine 6-piece removable by Cristel. 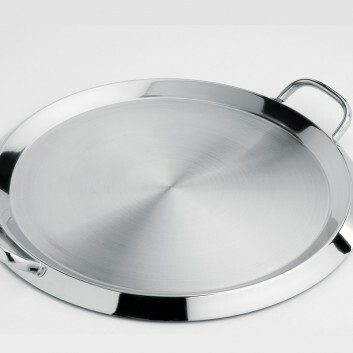 The Mutine collection has a shiny finish. 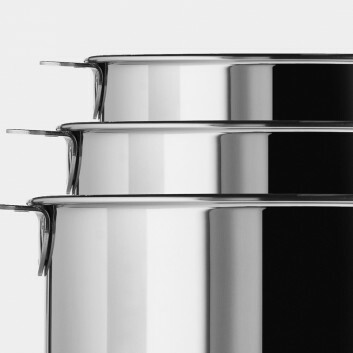 The Castel Pro collection is a new CRISTEL range designed by and for professionals. 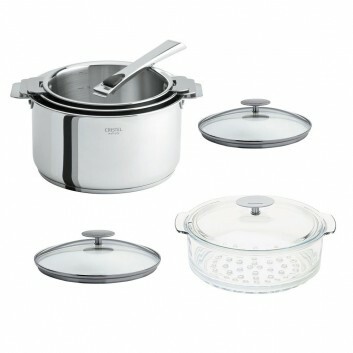 High-end Cristel Casteline Cooking Set. 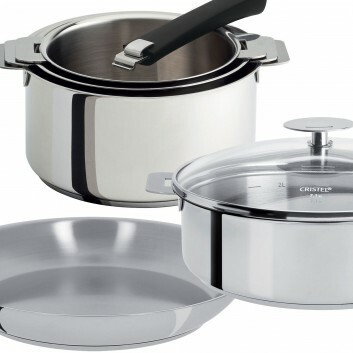 Cristel Casteline Steam Cooking Set includes: sauce pans, saute pan, frying pan,stew pot, lids, and removable handles and grips. 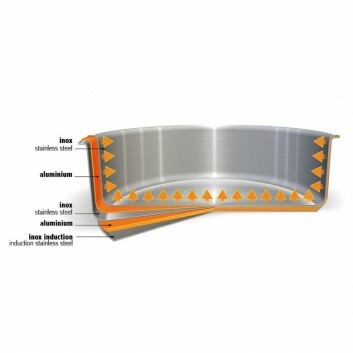 Casteline has been awarded the Origine France Garantie label. 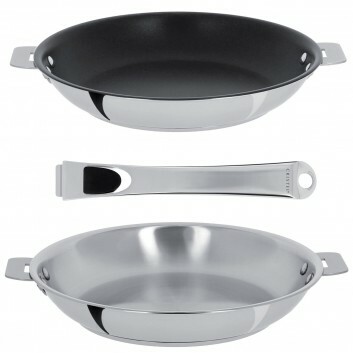 2 Cristel removable handle frying pans of the Mutine collection. 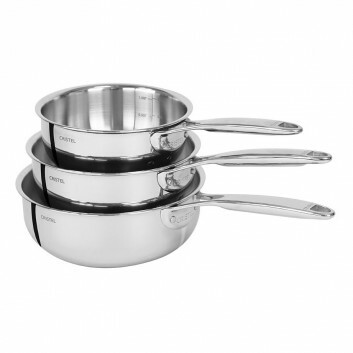 A black removable handle is included in this set. 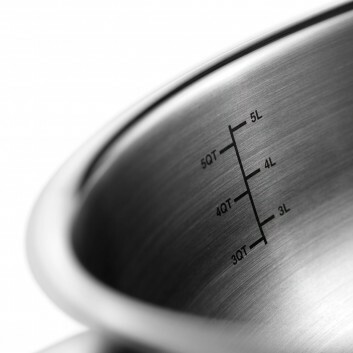 Cristel Mutine removable collection is perfectly adapted to all types of hobs including induction. 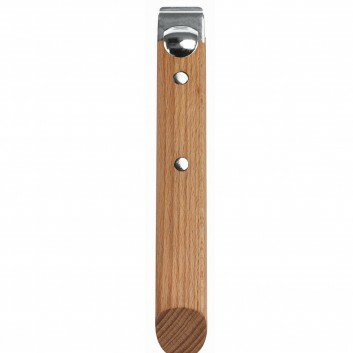 This removable handle is available in walnut or beech. 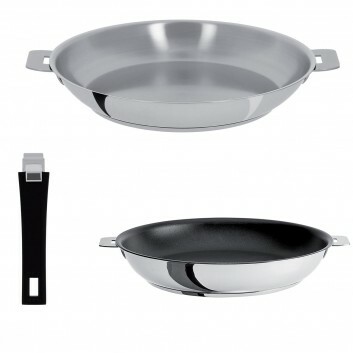 Removable handle for saucepans, frying pans, sauté pans and woks from the Casteline collection by Cristel. 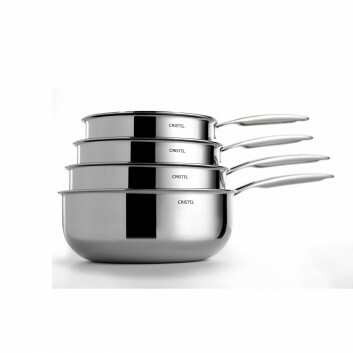 Cristel Mutine 7 piece removable set. 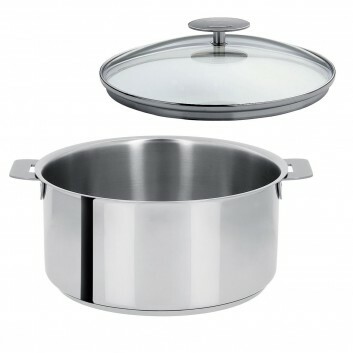 Removable Grip fits CRISTEL saucepan, saute pan, frying pan, stock pot, cooking pot, pasta cooker, steam cooker, bain-marie, sieve and lid. 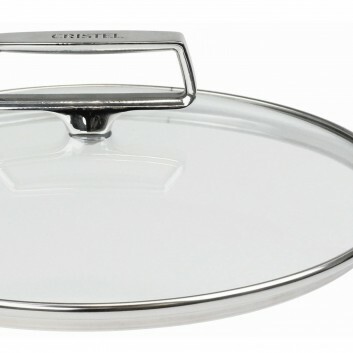 Mutine has been awarded the Origine France Garantie label. 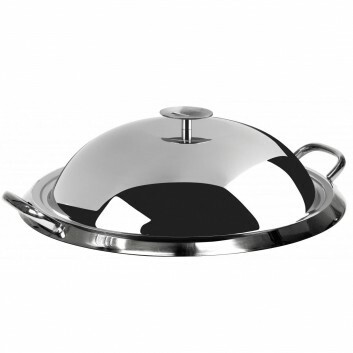 Cristel Mutine Collection: French Design, French Made. 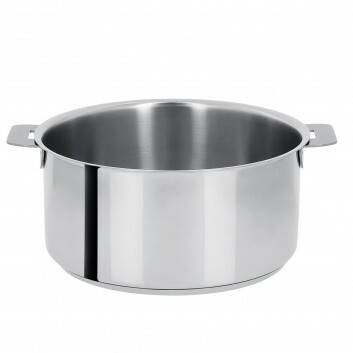 Castel Pro collection is the new CRISTEL range made by and for the professionnals. 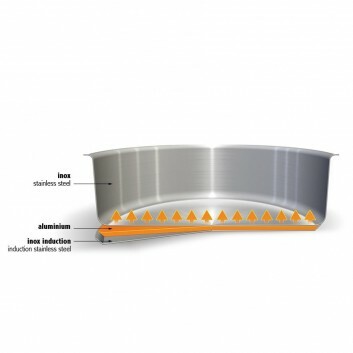 The differents sizes are precised below. 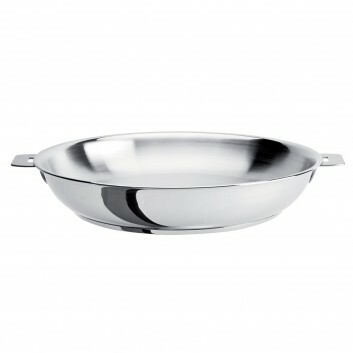 Oval Frying Pan by Cristel in the Mutine removable handle collection. 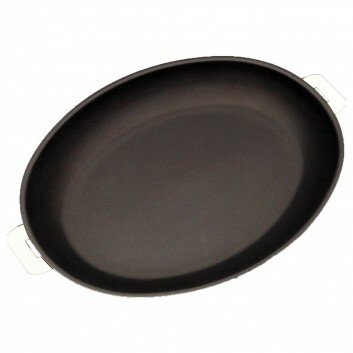 This oval frying pan is made in France. 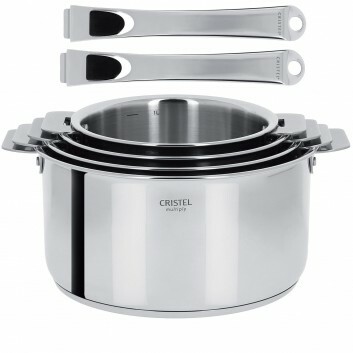 High-end Cristel Casteline Steam Cooking Set. 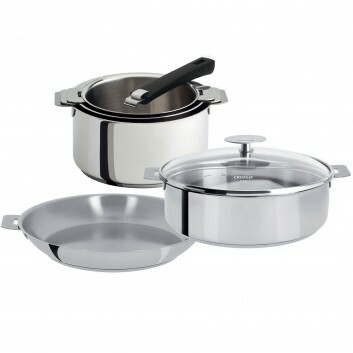 Cristel Casteline Steam Cooking Set includes: sauce pans, lids, steam cooking insert and removable handles and grips. 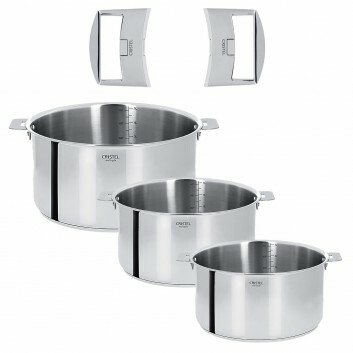 4 stainless steel Casteline saucepans with 2 handles of your choice included. 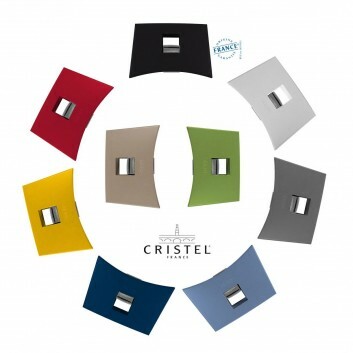 These are premium quality products of the Cristel brand. 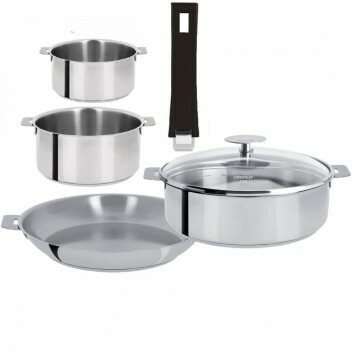 This set is sold with removable handle. 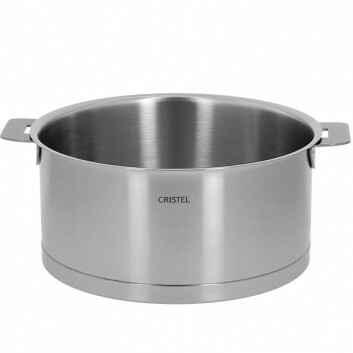 Cristel 3 stainless steel saucepan set (16, 18 & 20cm) from the Casteline collection with two stainless steel removable handles. 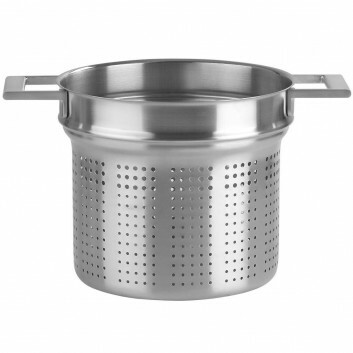 There are graduations in liters inside. 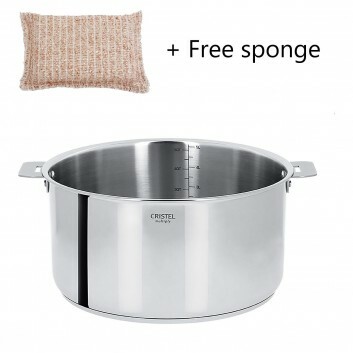 Cristel 16cm stainless steel saucepan with a free anti-scratch sponge. 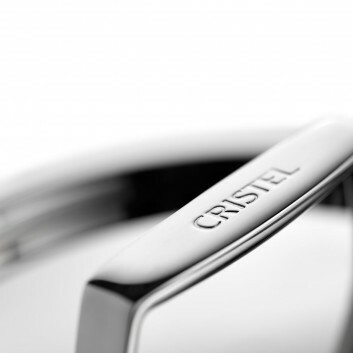 The Casteline collection is the high-end of the Cristel brand. 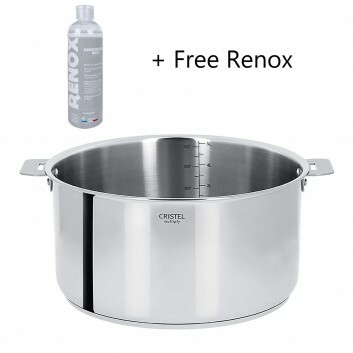 Cristel 18cm stainless steel saucepan with a free RENOX product. 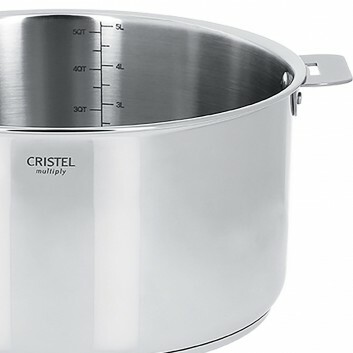 This Cristel stockpot comes with its glass lid. 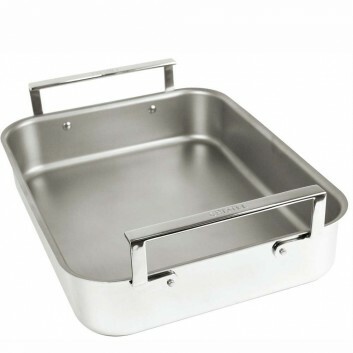 The Cristel Mutine collection has a shiny 18/10 stainless steel finish and can be used on all types of hobs including induction. 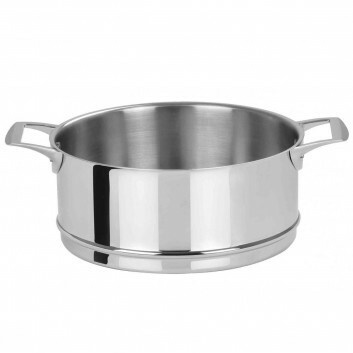 The Cristel Mutine stockpot is available in the following sizes: 24cm and 26cm. 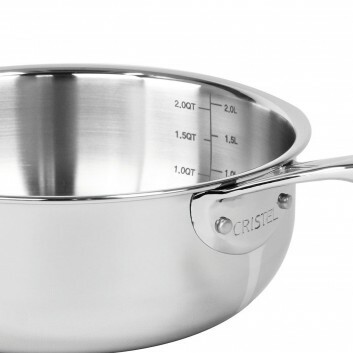 Cristel 2 removable frying pan set. 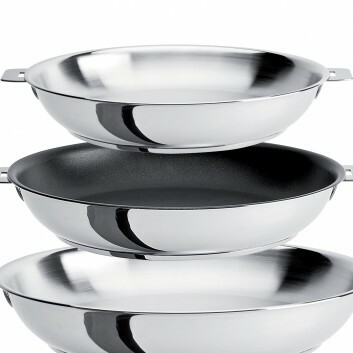 A Casteline removable handle will be included in this set. 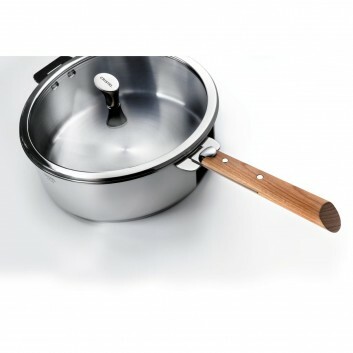 The Casteline removable collection by Cristel with its tri-laminated stainless steel base can be used on all types of hobs including induction. 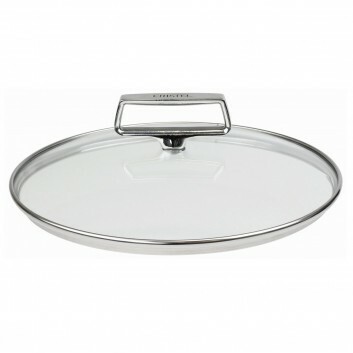 CRIStel Castel Pro glass lid. 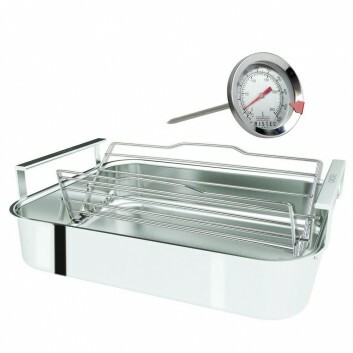 Castel Pro collection is the new CRISTEL range made by and for professionals. 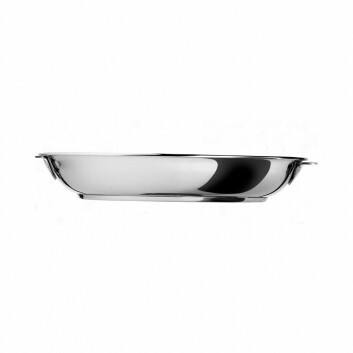 Castel Pro has been awarded the Origine France Garantie label. 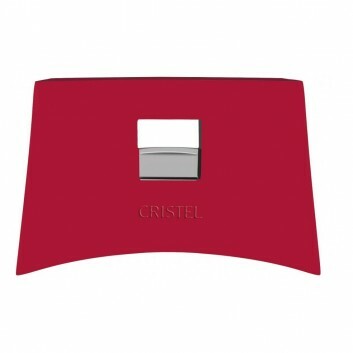 CRISTEL Castel Pro Complete set. 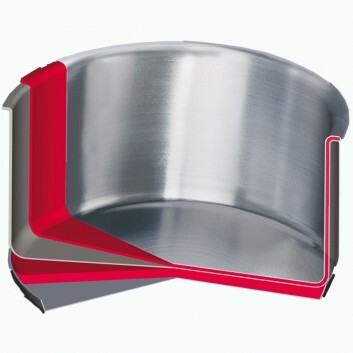 Castel Pro collection is the new CRISTEL range made by and for the professionals.